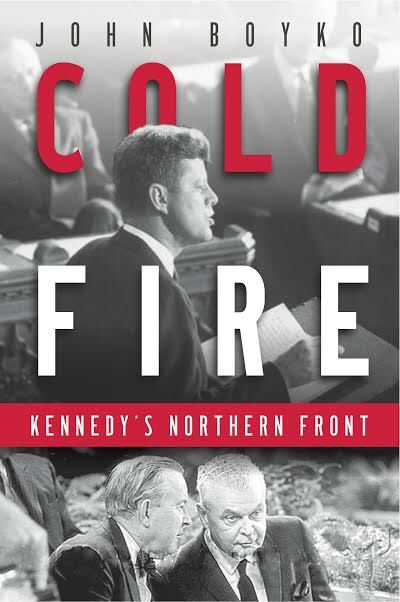 Cold Fire: Kennedy’s Northern Front will be published in Canada and the United States on February 2, 2016. The United States and Canada had reached a crossroads and three leaders were trying to pull their countries in wildly different directions. President John F. Kennedy pledged to pay any price to advance America’s homeland defense and strategic goals and he needed Canada to step smartly in line. Canada lay between the United States and the Soviet Union and so was a vital part of America’s security. Kennedy demanded that it house nuclear weapons and change its economic and foreign policies to support his. Frustrating Kennedy at every turn was Conservative Prime Minister John Diefenbaker, an unapologetic nationalist seeking to end the trend toward greater continental integration by bolstering Canadian autonomy and developing an independent identity. Meanwhile, Liberal leader Lester Pearson, the Nobel Prize–winning diplomat, saw value in continuing the slide toward integration. The movie-television rights have already been optioned for this non-fiction book that reads like an adventure novel, brimming with sparkling stories, fascinating characters, and fresh insights into this critical moment. Cold Fire will astonish readers with the intriguing ways in which the struggles of these three resolute leaders determined the course of the next half-century. If you look at Kennedy’s record – he accomplished nothing in his term of office. He can not even claim the Cuban Crisis, being as it was his advisers that made the decisions! That idea of Camelot was developed by PR men – not by truth!! I think you will find, if Fox will excuse me, a fair and balanced assessment of Kennedy and his administration as well as of all for which Diefenbaker and Pearson stood and fought for.